Steve Jobs made an appearance at today’s third quarter Financial Results Conference Call to discuss some sales, his views on Android vs iOS, and answer some questions. He also goes into detail about the company’s reasoning for not making a 7-inch iPad, as well his views on tablet competitors. 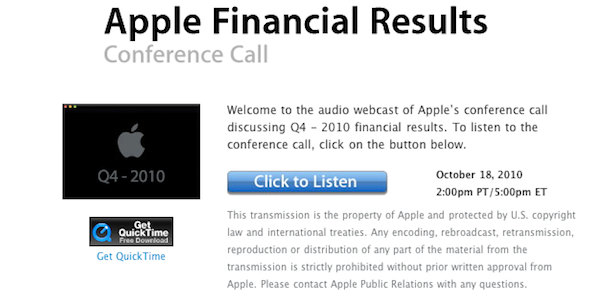 If you want to listen to the full press conference, you can get the QuickTime stream here from Apple or MP3 here. Enjoy.